The church community has regular services and other special events. In addition, the church is a focal point for a wider community of residents and visitors to Madrid, and hosts a wide range of activities during the week. Our Sunday Service Programme can be found here. From time to time we celebrate special occasions in life, including baptisms and weddings. In addition to Godly Play Sunday School on Sundays, the Church Hall is used for all kinds of activities – for example, the Mothers and Toddlers group on Wednesday mornings and the Guild (usually on the first Tuesday morning of the month). When there is a Bazaar, the hall and the patio around the church are filled with bargains. The Church Hall is also used by other community groups, and can be booked for regular meetings or one-off events. Contact the church office for more information or for bookings at info@stgeorgesmadrid.com or telephone 91 576 5109. The Guild Library is located in the Church House. 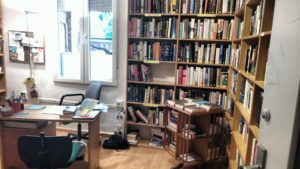 This English library with over 2,000 books, is available to anyone with an interest in reading in English for the modest sum of €20 a year. 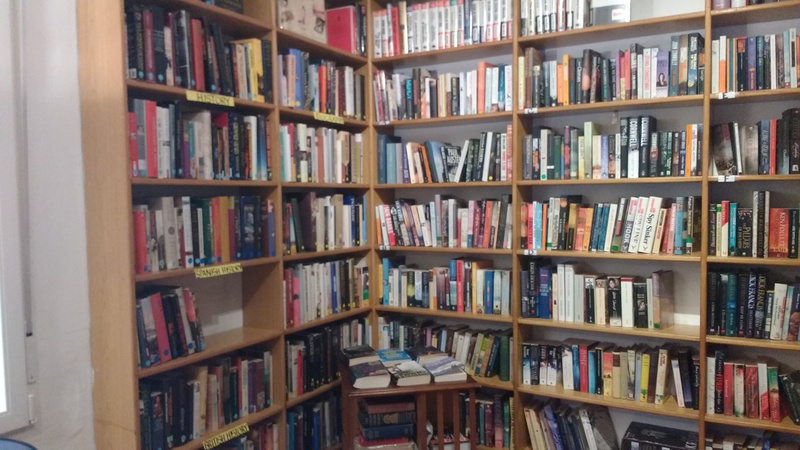 You can borrow up to 5 books at a time and have 2 months to read them. 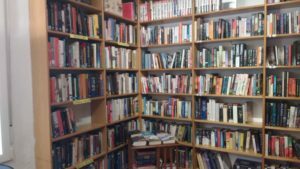 We have Auto(biographies), Memoirs, History, Travel and of course a lot of classical and modern Fiction, ranging from Dickens and Austen to Scandinavian crime novels, short stories etc. 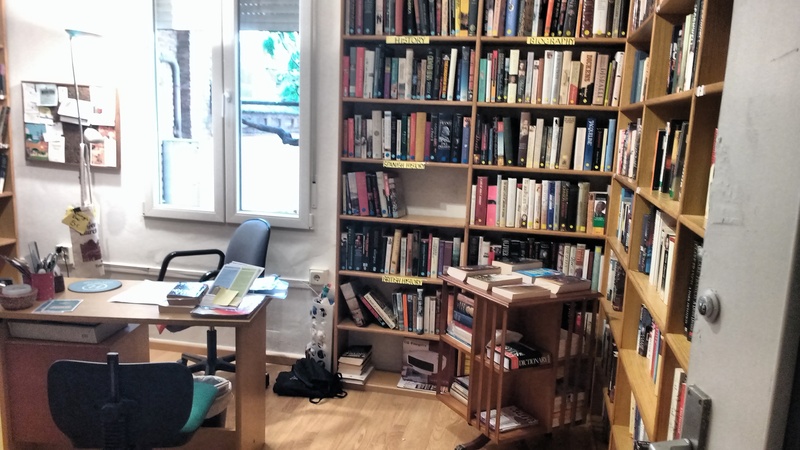 There are also many audio tapes, CDs, DVDs of books, plays or poetry – all in English. For more information send a WhatsApp or message to Jenifer on 628 601 125.